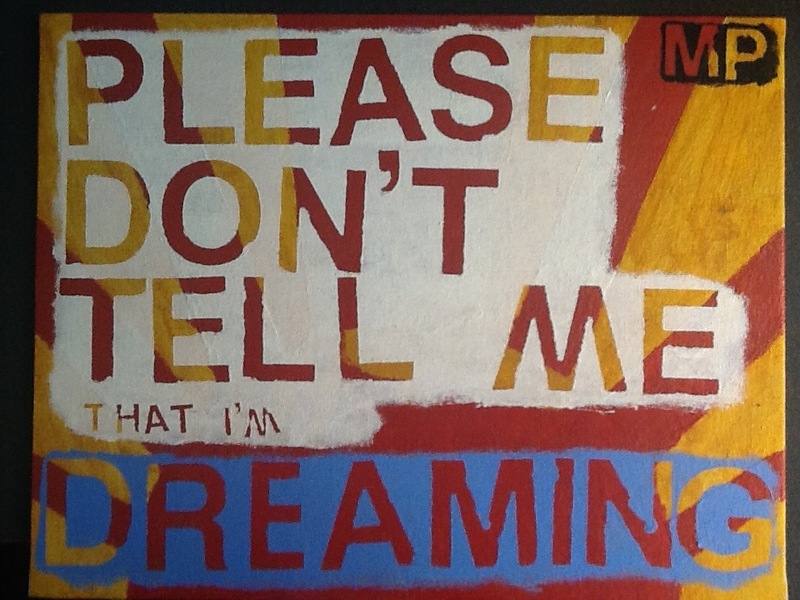 Please don’t tell me I’m dreaming. . . . – Bruce Zimmerman . . .
Home › Sales › Please don’t tell me I’m dreaming. . . .
Have you ever had one of those times in your life where everything just seems to be going right? I mean things are really going your way, . . . . work, family, personal relationships, it’s all good. You are in what I like to call a “Happy Place”. You tell yourself . . . life is good . . . and it is. In fact things are going so well you wonder . . . is this for real? It’s almost surreal as a curious thought slips into your mind as you quietly whisper, “Please don’t tell me I’m dreaming”. Well the true be told, the ol’ Zim-Master is in that place. I’m living my dream and it is an incredibly awesome place to be. I’m working for my dream company, the company that I have long admired for most of my professional life. I’m doing what I love for a living. I’m more passionate than ever before about selling and helping my clients to be successful. After all, my customer’s success is my success. I’m energized, motivated and excited for what each new day will bring. I’m happier than I have ever been and I’m loving life. . . . But things weren’t always so good for the Zim-Master. In fact, the last four years of life have been a rollercoaster ride complete with all the crazy dips and turns that come with it. I’ve experienced that slow chug to the top only to come careening down in the fury of the realty that our professional lives can bring. I have suffered through two corporate layoffs, the humbling nature and the humility of the job search. Add to the mounting challenges, was the death of a very close friend. I was confused by the turn my life had taken. I was bewildered by the loss of explanation as to why this was all happening. I wondered where it had all gone wrong. Yeah, things were tough. There were days where I wondered, if I would ever turn things around. Was I worried, absolutely! Yet despite the circumstances of the moment, somehow I truly believed that life had better things in store for me. For some reason I knew I had to focus on the positive things, what was good in my life. I sought solace is my mother’s words of wisdom . . .“this too shall pass”. I took the path of least resistance and decided to practice an “Attitude of Gratitude”. Thankful for what I had and what could be if I just believed that things would be better. I adopted a never-ending belief that there were better things in store for me. You know what, things slowly began to change. Little by little, day-by-day my situation changed. The more things began to change the deeper my belief became. It was like I could see the light at the end of a very long tunnel and the light was shining brighter and brighter each and every day. So what can you learn from the Zim-Masters struggles and my ultimate turn around? Gratitude combined with an unyielding belief in what is possible. Life is a series of events, set in motion by many different circumstances, causes, and effects (most of which are out of our control). Control what you can, (your attitude, focus, and effort) but remember, how you approach each situation is a choice. You can approach it as a positive or negative, a glass half full or half empty, an opportunity, or a challenge. Choose a positive approach and believe that all things are possible. Take it from someone who has been there, no matter what your current circumstances may be, stay focused, keep the faith and keep moving forward with a belief that ultimately you will preserver. But please, don’t tell me I’m dreaming.